We have partnered with Continental Tire to offer you the all new ControlContact Sport AS. If you liked the ExtremeContact DWS then you're going to LOVE the ControlContact Sport AS! The ControlContact Sport AS received major improvements in mileage and snow traction. The ControlContact Sport AS is a high value all-season, ultra-high performance tire that delivers driving control and superior responsiveness in all conditions - dry, wet and snow! The exclusive model is also backed by a 50,000 mile warranty. Biting edges in the grooves prevent snow from sliding through the grooves, providing excellent snow traction. 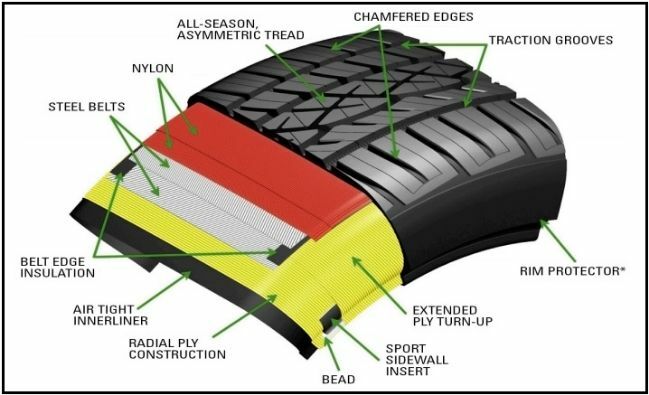 Full-depth sipes provide extra biting edges that open up and grip the road in wet and wintery conditions. Chamfered edges maximize tread-to-road contact as the tire rolls for improved dry traction. Wide shoulder blocks provide stability and control during cornering. Computer-optimized contact patch evenly distributes pressure for longer wear. Stiff tread blocks resist wear allowing the Continental ControlContact Sport AS to offer a 50,000 mile warranty. If you are running the Continental ControlContact Sport AS, post your review here along with a picture or two. 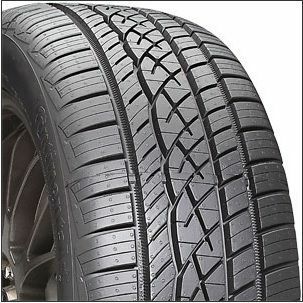 When it comes to shopping for tires, a lot of variables determine which tire is the right tire for your vehicle. The first is the vehicle that you drive. Others include how many miles you drive per day, the road conditions you normally see, the region where you live, whether you drive a lot on the highway or the city streets, and the vehicle’s suspension and chassis setup, among others.